This image was taken along Las Huertas creek, near the village of Placitas. Note the lack of developed soil horizons: the top layers appear to be unconsolidated colluvial debris. Perhaps the sandstone layers below the Juniper roots are paleo-sand dunes? What then might the different colors indicate? This image and the following were taken along La Jencia creek, deeply incised into Pleistecene and Holocene sediments in the San Lorenzo Spring quandrangle west of Socorro, NM. The layers exposed along the creek channel show darker clay and/or organic-enriched layers that may have formed from swamps and/or backwaters along paleochannels. 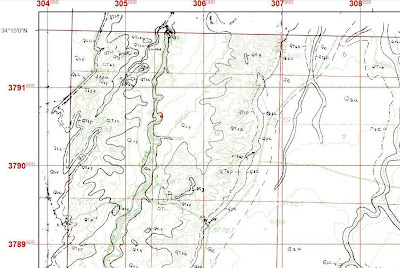 Screenshot of the Quandrangle geological map, with a red dot on La Jencia creek showing the location of the photos. This exposure reveals an unconformity in the left-center that may be due to in-filling of a paleo channel? Does this images show an actual unconformity, with deposition, then erosion, then deposition? Or was there continuous deposition? Why is there banding of light and dark material in such regular layers? How were these layers laid down? Does the fact that they were deposited indicate an aggrading landscape, perhaps controlled by climate-influenced sediment supply?? This photos shows a close-up of a tiny (5-foot long) layer of darker clay, clearly deposited in a concavity. Note the coarser sediment deposited below it and the finer sediment above. How old are these layers? 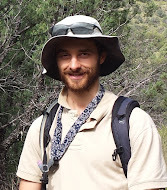 How do geologists infer the direction of paleoflow? Why aren't there fossils? Surface geology maps of the area offer confusing clues to interpreting these buried layers. 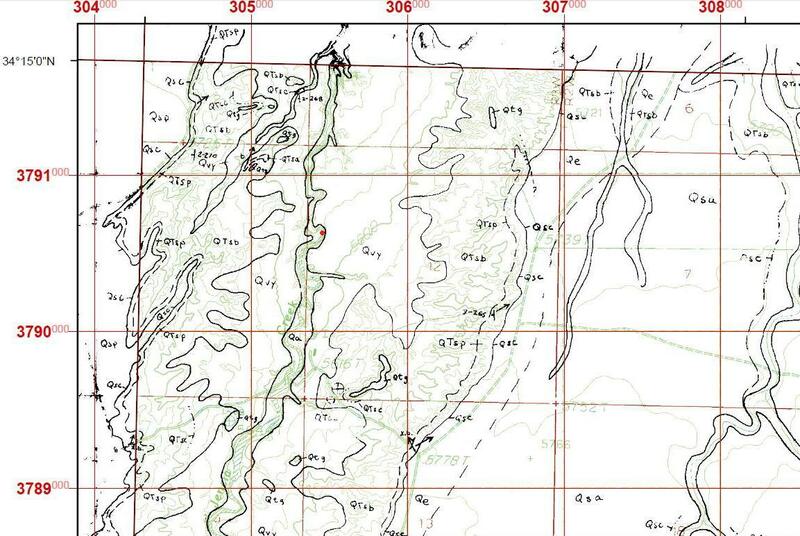 The geological map for the quandrangle to the North of San Lorenzo Springs (the Silver Creek quandrangle) shows paleochannel flows on the surface, as well as relictual dunes from some point in the Quarternary. Why are the paleochannel flows going every which way? Was this whole valley a closed basin, and if so, would that explain the aggradation, independent of sediment supply? Why is this stream downcutting so rapidly today? What are the implications for the future?